THE founding editor of El Mundo, Spain’s second-biggest newspaper, has stepped down after a decline in circulation and a series of revelations of alleged corruption in the ruling party. 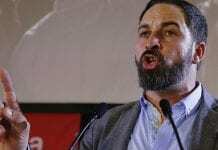 Pedro Jose Ramirez, known as Pedro J, has been sharply critical of Prime Minister Mariano Rajoy, even though El Mundo, part of the Italian RCS group, is considered broadly sympathetic to the ruling conservative People’s Party. Ramirez, who often appears to court controversy, is known for breaking some of Spain’s biggest political scandals of the last 25 years, including uncovering death squads backed by the Socialist government in the 1990s and, more recently, allegations of PP corruption. An insatiable tweeter, he wrote rambling two-page Sunday editorials peppered with historical and literary references taking on everything from the Catalan independence movement to Rajoy’s cautious leadership style. “Editorship of El Mundo will be assigned to Casimiro Garcia-Abadillo, currently deputy editor, with the objective of relaunching its hard copy circulation and further strengthening its digital leadership,” RCS said in a statement. 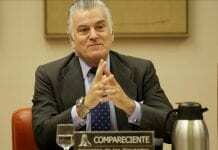 Ramirez reportedly left with severance pay of about 15 million euros. The circulation of the paper and its on-line version ORBYT fell 14% in 2012, according to the last full-year report available from RCS. But Economy Minister Luis de Guindos said the government had “absolutely not” been involved in the decision, and praised Ramirez as “a great journalist who has left his mark on an era in Spain”.